They really told them what they thought! After the announcement of the Latin Grammy nominee's on Thursday, Ha*Ash didn't waste any time on spilling their thoughts into words for not recognizing their hard work in the music industry. “Maybe the people who decide on the Grammys don’t like our music but our music is not for them, it’s for our fans,” they added, giving a special recognition to the people who year after year have supported their music by going to their shows and buying their albums. 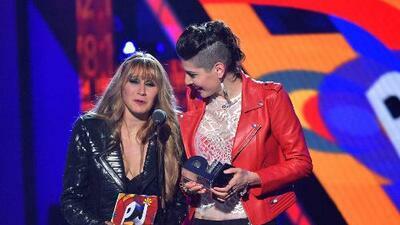 Ha*Ash has recieved awards from MTV and Premio Lo Nuestro but not have been nominated for the Latin Grammy's.